My wife recently began working on a presentation for grad school and she had to pick a subject to do it on, a breakdown of how a psychological theory would apply to a specific person. She picked Charlie Chaplin, a sublime choice because while the world giggled at the comedic follies of The Tramp, there was a darkness and lack of morality in play behind the scenes. Chaplin was one of the most gifted entertainers in the history of film and yet many of the laughs were derived because of pain. Many of the stories Chaplin told were autobiographical in some ways, and learning about him on a deeper level was a welcome experience to allow me to appreciate his work even more as an artist. Thus it felt like a good time to finally see the 1992 film Chaplin by Richard Attenborough, a movie that at times soars thanks to the inspired performance from Robert Downey Jr. as Charlie Chaplin, but it still manages to fall victim to those pesky biopic tropes that bother me so. A certainly fascinating journey, to see some of the experiences that haunted Chaplin's personal life acted out but I actually found that Chaplin as a whole played it pretty safe. Sure, it painted a picture of a very flawed man, but the strokes of Attenborough's brush still could have went bolder and portrayed more of the depth of his issues. I also didn't really care for the storytelling choice to have it be told during an interview with an elder Chaplin recounting the stories of his young and rise to fame. I actually would have preferred if it would have been played straight and traditional, just tell the story without utilization any narration. I would use the word nice to describe Chaplin, which is both a compliment and a complaint. 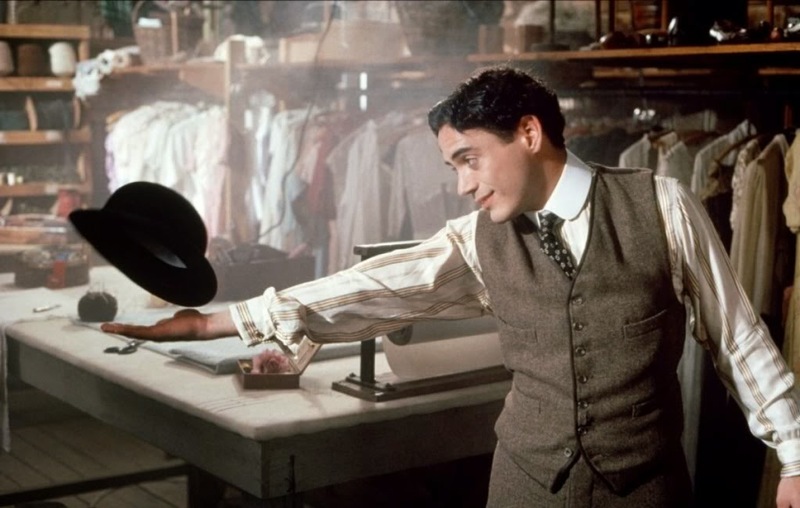 I would recommend this film to anyone curious to learn the basics about what made the man so complicated and Downey Jr. is excellent in the lead role, but at the end of the day Attenborough used a whole lot of words and still didn't come close to the nuance and power crafted by the real Chaplin in silence. I disagree. 5/5. 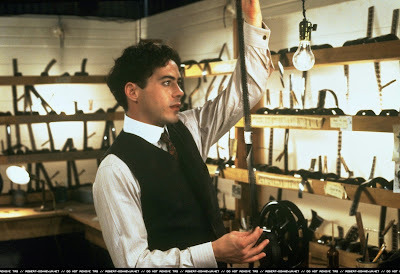 This movie made me an eternal RDJ fan and turned me onto Chaplin like nothing else could to a teenager in the 90s. yeah I thought I recalled you saying you were a big fan of this one. That's awesome, I expected to love it, ended up just kinda liking it. Totally understand how this would make you eternally devoted to an RDJ, my goodness was he at the top of his game as Chaplin. A wonderful performance.